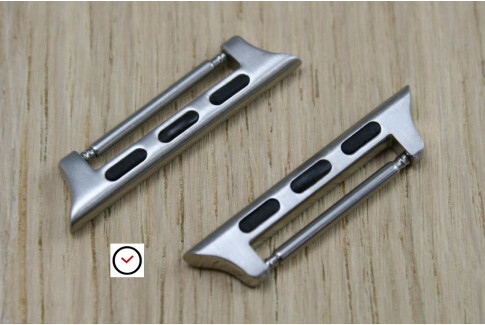 H-Active HIRSCH pin buckle :- easy attachment with spring bar- HIRSCH quality- no allergy, nickel free- large pin- sporty & classy stylePolished stainless steel﻿ model.Several widths : 16, 18, 20, 22 or 24 mmPerfect for 2 pieces watch straps, especially sporty ones.Fits in particular Ayrton, Robby and Tiger HIRSCH Performance straps (available here). 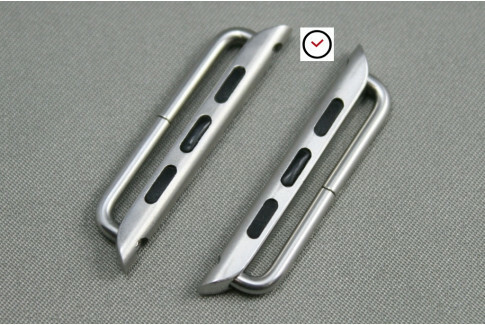 H-Active HIRSCH pin buckle :- easy attachment with spring bar- HIRSCH quality- no allergy, nickel free- large pin- sporty & classy styleMatt stainless ﻿steel model.Several widths : 16, 18, 20, or 22 mmPerfect for 2 pieces watch straps, especially sporty ones.Fits in particular Ayrton, Robby and Tiger HIRSCH Performance straps (available here). 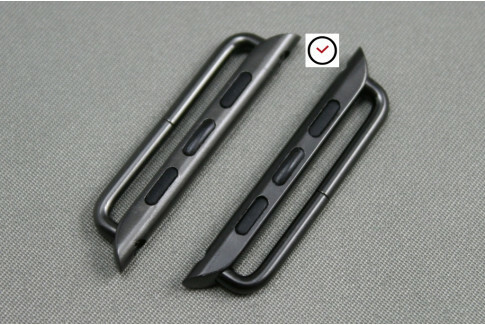 H-Active HIRSCH pin buckle :- easy attachment with spring bar- HIRSCH quality- no allergy, nickel free- large pin- sporty & classy styleBrushed stainless ﻿steel model.Several widths : 18, 20 or 22 mm﻿Perfect for 2 pieces watch straps, especially sporty ones.Fits in particular Ayrton, Robby and Tiger HIRSCH Performance straps (available here). 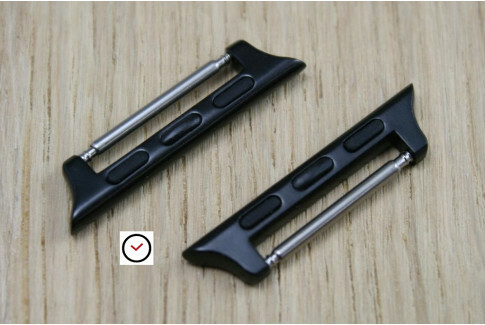 HSL HIRSCH pin buckle :- easy attachment with spring bar- HIRSCH quality- no allergy, nickel free- thin pin- classic styleSteel model.Several widths : 10, 12, 14, 16, 18, 20, 22 or 24 mmPerfect for 2 pieces watch straps, especially thin ones. 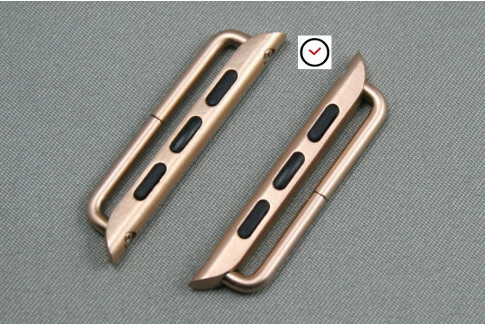 Trendy pin buckle :- easy attachment with spring bar- no allergy, nickel free- thin pin- elegant and trendy styleShiny steel model.Several widths : 8, 10, 12, 14, 16, 18 or 20 mmA polyvalent buckle, suitable for both sports and classical watch straps. 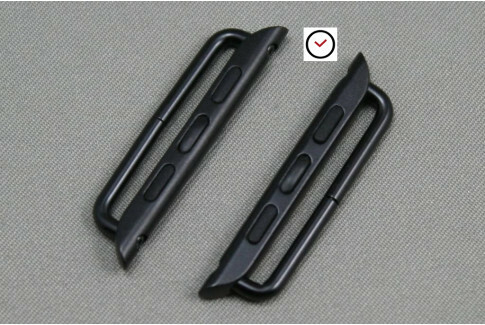 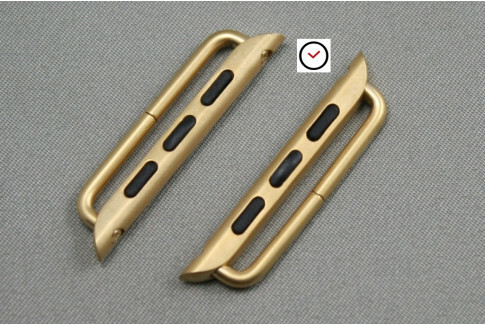 Trendy pin buckle :- easy attachment with spring bar- no allergy, nickel free- thin pin- elegant and trendy styleGold steel model.Several widths : 12, 14, 16, 18, 20, 22, 24 or 26 mmA polyvalent buckle, suitable for both sports and classical watch straps.